Are you looking for an affordable and reliable company to supply and deliver topsoil to you in Hampshire? Then you should call us at Abbey Turf now to see how we can help you. We are a professional company and are very experienced in the gardening and landscaping trade; our mission is to have the best topsoil supply and delivery Hampshire has to offer. Call 02380 812302 today. Abbey Turf can supply you with just the right amount of topsoil you need, and make sure that it is of the highest quality. Our topsoil supply and delivery in Hampshire is second-to-none and simply cannot be beaten for all those demanding gardening projects. Topsoil can be employed in a number of ways, from filling raised beds, rejuvenating the general soil in a garden, or as a base for laying turf so that the grass has something to root into properly. It is very important to have a good quality topsoil in all these places, as you will see no advantage to its addition if it is inferior. Good topsoil is a dark brown colour, crumbly, and loose feeling. It is advantageous for topsoil to contain organic materials for the new plants or grass to have a good basis for growth. Our topsoil is screened so that there are no weeds or stones and rubble left in the soil itself. Screening for weed roots or shoots is particularly important as you don’t want to introduce invasive plants like couch grass or Japanese knotweed to your garden. Even if these fast-growing weeds aren’t present, the introduction of any weeds can cause you headaches in the form of continual weeding, so we make sure ours is clear of roots. This means that our Hampshire topsoil supply and delivery is ideal for all the previously mentioned uses, as well as garden borders and seeding. We are based in Fordingbridge but can deliver from Salisbury all the way over to Alresford in the East, and as far north as Andover. Just call us and we can let you know if one of our Hampshire topsoil supply and delivery trucks can come to you. If you do decide to order topsoil from us, rest assured that you won’t need to source tarpaulin to put down on your drive. 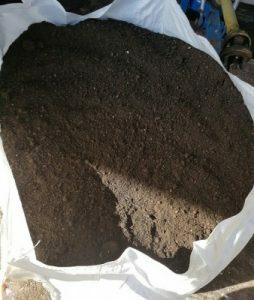 Our topsoil supply and delivery service makes sure that the topsoil is contained in bags for cleanliness and ease of use. We can even deliver the bags over fences and walls to deposit it in a more useful area for you. Why not take a look at the other products we supply as well, in order to complement your request for topsoil supply and delivery Hampshire. For over 25 years we have been in the business of turf and topsoil supply and delivery. We are a family-run firm, and our high-quality products and superior customer service keep clients returning to us. As such we have grown from an initial 10 acre site to the one we have now which has 180 acres for our spectacular turf. We are experienced and ready to help you decide on all aspects of your topsoil supply and delivery in Hampshire. 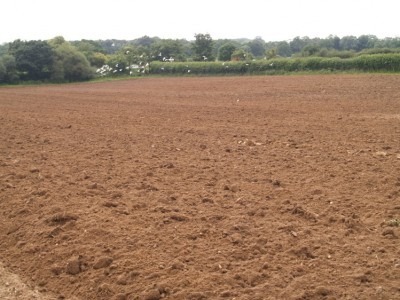 While our Hampshire topsoil supply and delivery is of fantastic quality, we can also discuss with you the amount you will need depending on the use you will have for it. There are different considerations for using topsoil for a raised bed than there are if you require it as a good base for laying turf. Our many years of practical knowledge in the industry and understanding of our topsoil can help you with the figures and calculations to determine how much you will need. If you are looking for quality topsoil supply and delivery in Hampshire, you must call Abbey Turf now. Peruse our website to see what we can do for you, or contact us on 02380 812302 to find out more about our deliveries.